There’s no denying it. Technology has come an incredibly long way in a scant 30 years. The ubiquity of consumer technology has completely transformed the way we live our lives. If our childhood selves could see us now they’d likely be agog with amazement. Wait, you’re able to rent movies without going to the video store or even getting out of your sofa? Phones sit in your pocket now rather than being mounted to the wall? Wait, you can chat face to face with people thousands of miles away… For free? What do you mean, you don’t need to take a map with you when you travel somewhere unfamiliar? What does GPS stand for?!? Technology has made our lives infinitely easier and made previous inconveniences like getting lost on a busy highway or flicking through dozens of channels trying to find something good a thing of the past. But technology is a double edged sword. If we become too reliant upon it it can start to do our thinking for us and our skills and minds will naturally begin to atrophy. For generations that were young enough to embrace new digital technologies when they emerged but are old enough to remember life without them, finding the balance is relatively easy. We recognize that today’s technology is useful to us without ever really taking it for granted. When we start to rely on it a little too much we’re usually able to take a step back. But for younger generations, like our kids, these technologies have always been there. And this could present them with a set of problems that we as a society have yet to come to grips with. Here we’ll look at how the changes in technology both today and tomorrow can affect our kids’ development and how we as parents can ensure that technology only ever affects them in positive ways. Remember when our parents told us that watching too much TV would give us square eyes or that if we didn’t go out and play more we’d get asthma? Or that video games would turn our minds to much? Of course they were incorrect and even as children a part of us knew that they were railing against technological change that they weren’t able to fully understand… And we always fear what we don’t really understand. But like us, our kids will have to grow up with a healthy relationship with the technology around them, utilizing ot to make their lives easier but without the things they own ever owning them. But for younger generations, this is somewhat more difficult. Sure, we had TV and video games to contend with but today’s kids are conversant with mobile apps before they can even talk. Consumer technology is far more ubiquitous If they develop more of a relationship with technology than with their fellow human beings this can impede their development. 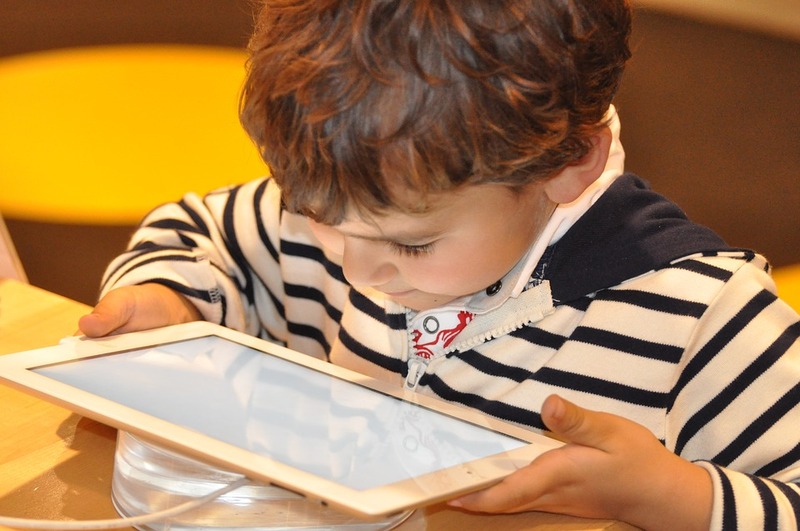 Technology is changing the way our kids develop both physically and cognitively in a number of ways. Our kids are growing up in an era in which distraction is the norm and so the essential act of focusing their attention is becoming harder and harder for them to hone. Moreover, technology conditions the brain to absorb information in a way that is very different to reading uninterrupted text in, say, a book. Thus, kids growing up with their faces in tablets run the risk of struggling to pay attention and to absorb and retain information. If they spend more time interfacing with their devices than their peers this can lead to increased risk of depression and impeded social and emotional development. Reliance on technology can even impede their physical development. Many chiropractors and spinal health specialists are noticing an increasing trend in ‘text neck’ among adolescents and younger adults as they have grown up frequently looking down to send or read text messages or scroll through their social media feed on their smartphones. This can not only lead to spinal mobility issues and neck pain but poor posture which can become exacerbated in adult life (especially if they find a career that involves sitting at a desk), which can inhibit digestive health and even increase their risk of cardiovascular disease. This article is not intended to be a technophobic rant. Technology is good and it’s here to stay, but as today’s children will grow up in a world where tech will only ever become more affordable and ubiquitous, it behoves us as parents to make sure that they grow up with a healthy relationship with it. Sometimes, the most damaging words a parent can utter are “No, you can’t!”. As much as we may want to insulate our kids from the inherent risks of too much exposure to technology, we must also be wary of the dangers of reactive prohibition. If we tell our kids they can’t do something they will want to know why and if our response is “because it’s bad for you” not only is this an oversimplification, but it’s a rationale their underdeveloped prefrontal cortex won’t be able to fully appreciate. Simply put, kids and teens don’t yet understand that their actions now could have far reaching implications in their adulthood. Just as you can’t have a healthy diet when you cut out all fats or all carbohydrates or all proteins, so too is it impossible to have a healthy and rewarding curriculum of activities when you only ever grow up knowing the pleasures of the screen. Kids need to grow up with a balanced diet of activities so that not only are they able to grow up fit and healthy in mind and body, they are able to enjoy a broad range of activities away from their games consoles. Cycling is a great way to bond together as a family while also benefiting from a good cardiovascular workout. It’s also a great way to spend time in natural surroundings. Fresh air combined with access to trees, plants and grass is a proven mood booster which will combine with the hit of dopamine and endorphins we get from exercise to show kids that a pleasurable time can be had outdoors just as easily as in front of a screen. Team sports are also a great way for kids to not only get their daily dose of exercise but to exercise their creative problem solving skills, communication and teamwork abilities as well as apply focus and determination to honing and refining their skills. Even inside the house there are myriad forms of entertainment that don’t require batteries or a screen. Just take reading, for instance. When kids are able to disappear into the world of books, not only do they improve their concentration and language skills but their imagination as well. Video games aren’t all bad. In fact, there’s evidence to suggest that they can be beneficial for kids’ cognitive development, helping them with focus, logic, hand eye co-ordination and creative problem solving techniques. Many games involve some element of puzzle solving while character based Role Play Games can help kids develop their empathy skills as well as seeing that their actions have consequences. At the same time we need to acknowledge that video games can be addictive and should be rationed to an appropriate time. One to three hours of video games a week is usually enough for kids to reap the cognitive benefits without any ill effects. Screen time can be an isolating and antisocial experience or it can be a shared experience that the whole family can enjoy. It’s all a matter of how you spin it. A good way to maintain a healthy balance is by making screen time an occasion that’s earned and shared. That way your kids spend less time with their screens but they get a higher quality of engagement. Screen time stops being the default way to spend time and becomes like the dessert section of the menu; rewarding and gratifying… But you wouldn’t want it to be the only thing you do. The great thing about growing up in the digital era is that with so many streaming services bringing high quality movies in 4K directly to the home, this has the potential to never get old. 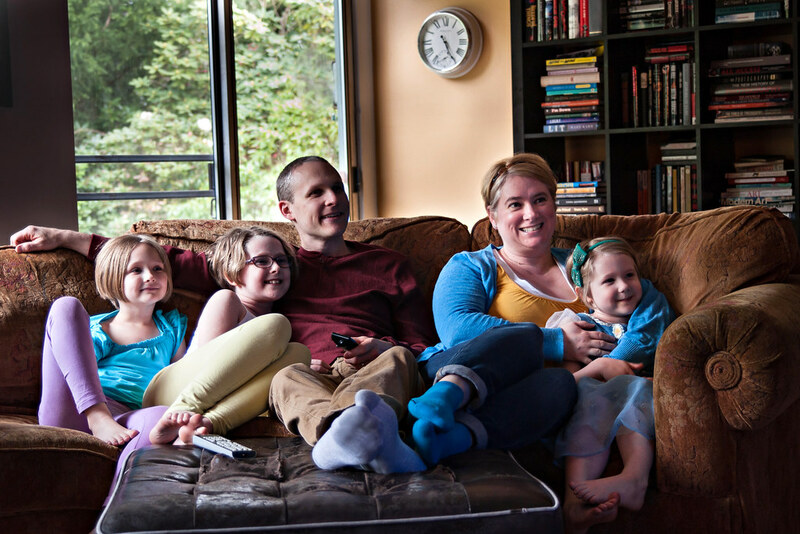 Make sure that the whole family gets together at least once a week for a movie night. Give the event a sense of occasion with popcorn and other theater accurate snacks. This will hopefully help them to regard screen time as a fun family affair rather than an insular activity that precludes them from spending quality time with the rest of the family. Technology isn’t going anywhere and is evolving at such a pace that it will likely form a large part of your kids’ adult lives. But when they grow up with a healthy relationship with technology they stand much less chance of being enslaved by it.